University of Notre Dame alumnus Matthew Walsh and his wife, Joyce, have made a $27 million gift to his alma mater. In recognition of the gift, the University will name in their honor a new building for the School of Architecture. The new 60,000-square-foot building will be located on the south end of the Notre Dame campus, east of the DeBartolo Performing Arts Center. It will provide the space necessary to accommodate the needs of a school that is considered the nation’s leading institution for the study of classical architecture and traditional urbanism and to add two new graduate programs in historic preservation and real estate development. A timeline for construction has not yet been established. Matt Walsh earned a bachelor’s degree in English from Notre Dame in 1968 and a law degree from Loyola University in 1972. Joyce Walsh is a graduate of Barat College. They reside in the Chicago suburb of Burr Ridge and have three grown children, Matthew IV, Sean and Erin. Both Erin and her husband, Mike Gibbons, are 1998 graduates of Notre Dame. In addition, the Walsh’s’ son Sean and son-in-law, Mike, both earned their EMBA degrees from Notre Dame. 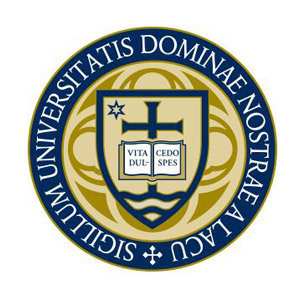 In addition to financial support of Notre Dame, Walsh has provided counsel to the University as a member and long-standing chair of the School of Architecture Advisory Council and chair of the Advisory Council Chair Leadership Group. He is a life member of the board of trustees of St. Ignatius College Prep and a board member of Children’s Memorial Hospital. The Walsh Foundation supports arts, education, Catholic churches and schools, and social and children’s services. The School of Architecture was established in 1898 as the first such program at an American Catholic college or university. For the past 20 years, it has put an emphasis on a classical curriculum to the point that it is considered the leading such program in the country. The urbanism curriculum is also highly regarded within the field. Architecture offers a five-year bachelor’s degree, which includes the third year spent entirely at the University’s facility in Rome. The school also offers three master’s degree programs: a post-professional two-year master’s degree and two professional master’s degree program in two- and three-year paths. Originally published by Dennis Brown at news.nd.edu on September 27, 2013.